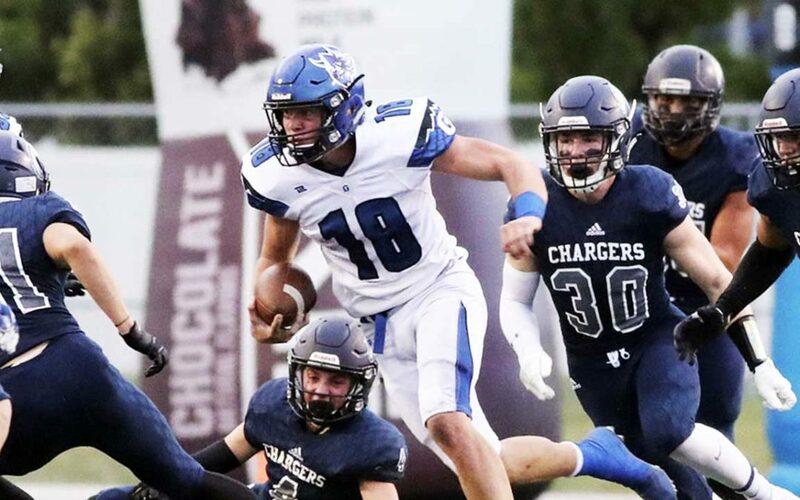 Pleasant Grove quarterback Jake Jensen gave a verbal commitment to BYU football just ahead of national signing day (Class of 2019). Jensen preps at Pleasant Grove High School (Pleasant Grove, UT), where as a senior he completed 141-of-244 passes (.578) for 2431 yards and 21 touchdowns against seven interceptions. He also scored three touchdowns on the ground. A three years starter for PG, Jensen has 460 career completions for 7423 yards and 61 touchdowns, with an additional 16 touchdowns rushing. Jensen has seen recruiting interest from Arizona State, Boise State, Cal, Colorado, Dixie, Hawaii, Montana, SUU, UCLA, Utah, and Utah State. He will serve an LDS mission in Argentina prior to joining the team as a preferred walk-on in 2021. Class: 2019 HT/WT: 6’2”, 210 lbs. I caught up with Jensen to ask him about his recruiting. Jensen: I’ve always been a BYU fan growing up. I love the culture and the coaches, the offense and the direction the program is going, and I feel like I can help bring back the tradition of elite offenses. I’m looking forward to winning and playing in LES. Jensen: Tarzan, Where the Red Fern Grows, any music from classic rock to Green Day to Celine Dion to George Strait, my favorite cereal is Fruity Pebbles.